Background: There is no consensus that single-incision laparoscopic surgery splenectomy (SILS-SP) is on a par with conventional multiport laparoscopic surgery splenectomy (CMLS-SP). Aims: The aim of this systematic review and meta-analysis was to assess feasibility and safety of SILS-SP when compared with CMLS-SP. Materials and Methods: Eligible articles were identified by searching several databases including PubMed, EMBASE, CNKI (China) and the Cochrane Library, up until February 2016. Studies were reviewed independently and rated by Newcastle–Ottawa Quality Assessment Scale. Evaluated outcomes were complications, operative time, post-operative hospital stay, blood loss, starting diet, post-operative pain scores, conversion and analgesic requirements. Results: Ten retrospective studies met the eligibility criteria. Overall, there was no significant difference between SILS-SP and CMLS-SP in complications, operative time, post-operative hospital stay, blood loss, starting diet, post-operative pain scores, conversion and analgesic requirements. Conclusions: SILS-SP is feasible and safe in certain patients, with no obvious advantages over CMLS-SP. Therefore, it may be considered an alternative to CMLS-SP. We await high-quality, double-blind RCTs. These should include clear statements on standard scores of post-operative pain and cosmetic results, longer follow-up assessment and cost–benefit analysis. Background: Insulinomas are the most common pancreatic neuroendocrine neoplasms. In spite of adequate pre-operative localisation, conventional surgical methods rely on intraoperative palpation. Intraoperative ultrasonography (IOUS) is said to aid in accurate localisation, decreases morbidity. Laparoscopic removal of pancreatic endocrine neoplasms is beneficial due to magnification and minimal invasion; however, in the absence of IOUS, error of judgement may lead to conversion to open surgery, thereby relying on 'palpation method' to localise the tumour. We combined laparoscopic surgical removal of insulinomas using an innovative method of 'laparoscopic finger palpation' with intraoperative blood glucose monitoring and frozen section for surgical cure. Materials and Methods: Patients were evaluated and investigated by the department of endocrinology and referred for surgical management of insulinoma. Pre-operative localisation of insulinoma was done by either contrast-enhanced computerised tomography angiogram – arterial and venous phase, or endoscopic ultrasound (EUS) or DOTATATE scan. Intraoperative localisation was done by laparoscopic dissection and 'laparoscopic finger palpation'. After enucleation, the specimen was sent for frozen section, and in the interim period, serial monitoring of blood glucose was done by the anaesthetist. Maintenance of glucose levels for more than 45 min after enucleation and confirmation of neuroendocrine tumour on frozen section was the end point of surgical procedure. Results: A total of 19 patients were subjected to laparoscopic removal of solitary insulinomas. Enucleation was performed in 16 patients successfully. In three patients, laparoscopic distal pancreatectomy was performed. Three patients had pancreatic duct leak, of which two patients responded to conservative approach and the third patient required drainage by USG-guided pigtail catheter. All patients are cured of their disease and no patient has had recurrence so far. Conclusion: Multidisciplinary approach involving laparoscopic palpation, frozen sections and intraoperative blood sugar monitoring helps laparoscopic management of solitary insulinomas without IOUS. Objective: The objective of the study was to find the weight reduction pattern and its outcome on knee pain and function in osteoarthritis (OA) morbidly obese patients' post-bariatric surgery with dietary and exercise changes. Methodology: Thirty morbidly obese (body mass index [BMI] >40 kg/m2) OA patients gave consent for bariatric surgery. Despite wearisome lifestyle modifications for weight loss and knee pain, satisfactory results were not retrieved. We took consent from all the patients predetermined for knee replacement in future because of pain and disability as recommended by knee replacement surgeon. The dietary and exercise protocol was standardised for all patients for bariatrics. Data for weight loss, change in BMI and Western Ontario and McMaster Universities Arthritis Index score consisting of pain, stiffness and activities of daily livings (ADLs) scores were documented at baseline, 3 months and 6 months post-bariatric surgery. Results: The male-to-female ratio was 1:2. Mean age of the patients was 49.8 ± 8.6 years. Significant changes in pain (P < 0.001), stiffness (P < 0.001) and ADLs (P < 0.001) were found postoperatively at 3 and 6 months. Positive correlation of percentage change of BMI was seen with percentage change in pain (r = 0.479, P = 0.007) and ADLs (r = 0.414, P = 0.023) after 6 months of bariatric surgery. Most of the patients were inclined to delay the knee replacement further by the end of 6 months post-bariatric surgery. Conclusion: Bariatric surgery when combined with dietary and exercise changes gave significant results in terms of weight loss, knee pain and function. It is an approach that tackles both obesity and OA. It is a major step forward in stemming the global epidemic of these two interlinked conditions. Aim: The aim of this study is to evaluate the results of a single and common approach for transgastric submucosal excision of small- to medium-sized gastrointestinal stromal tumours (GIST) having different locations in upper two-third of the stomach by pure minimally invasive approach. Materials and Methods: A retrospective study from February 2012 to January 2015 on 11 patients was conducted including both male and female. Their age ranged from 40 to 65 years. All were subjected to laparoscopic transgastric submucosal excision of GIST in upper two-third of the stomach with 1 cm margin having different locations in stomach. Excised tumours were subjected to histopathological study. These patients were followed for 12 months assessing operative time, post-operative complications, conversion rates, morbidity, hospital stay and recurrence rate. Results: Duration of surgery was 150.6 ± 20.4 min. Mean hospital stay was 8 (range: 7–10) days. There were no post-operative complications. There were no conversions to open procedure. There were no recurrences. Morbidity was comparable to any other laparoscopic procedures. Conclusion: We conclude that a single and common approach of transgastric submucosal excision of small- to medium-sized stromal tumours with 1 cm margin having different locations in upper two-third of stomach, by pure minimally invasive approach, has a better outcome and brings a uniformity in laparoscopic management of GIST. Background: Oesophagectomy for corrosive stricture of the oesophagus (CSE) is rarely performed due to high risk of iatrogenic complications. 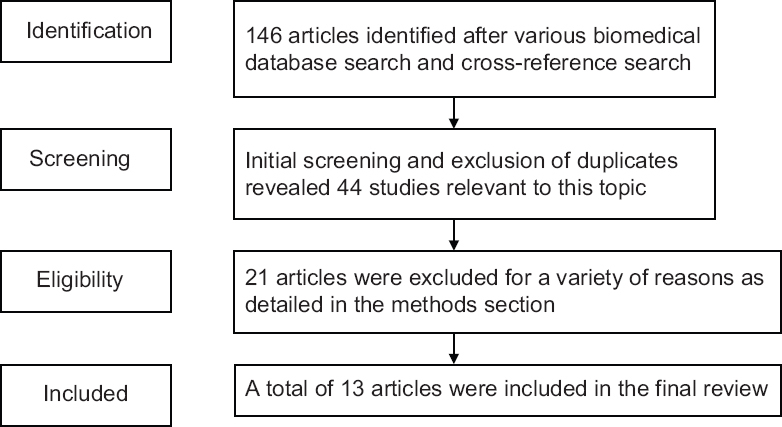 The aims of this study were to review our experience of transhiatal oesophagectomy (THE) in patients with CSE as well as to compare results of open and laparoscopic methods. 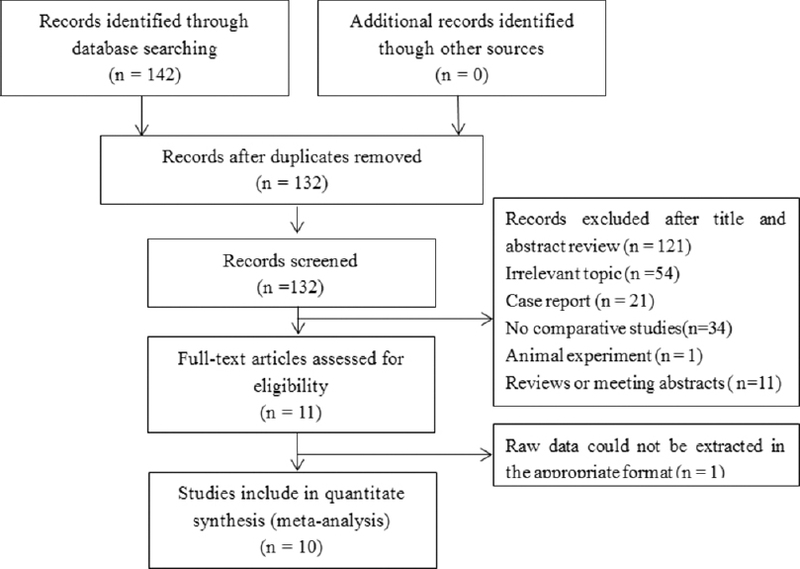 Materials and Methods: This is a retrospective analysis of prospectively maintained data of patients with CSE who underwent open transhiatal oesophagectomy (OTE) or laparoscopic-assisted transhiatal oesophagectomy (LATE) by a single surgical team from 2012 to 2016. All study patients had either failed endoscopic dilatation or had a long stricture which was not amenable to endoscopic dilatation. Results: Totally, 35 patients were included in the study, of which 19 (54.3%) were female. 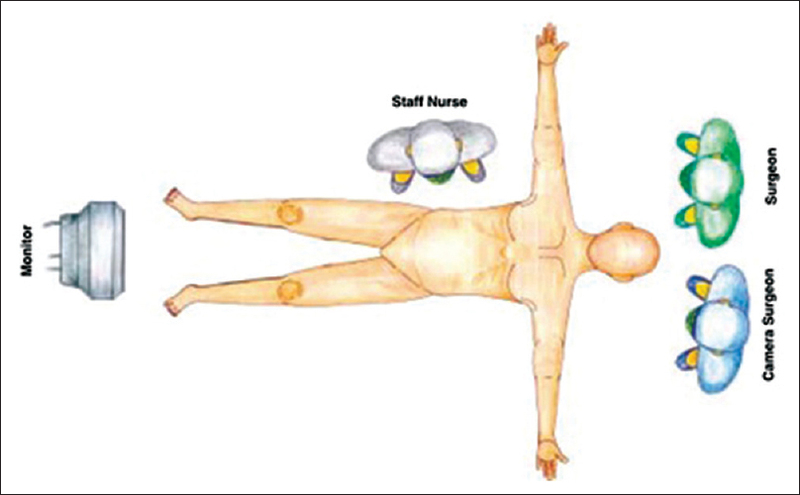 OTE was performed in 20 (57%) patients, and LATE was performed in 15 (43%) patients. Gastric and colonic conduits were used in 23 (65.7%) and 10 (34.3%) patients, respectively. Demographic and clinical parameters were comparable between LATE and OTE groups (P > 0.05). Median intra-operative blood loss, post-operative requirement of analgesic and hospital stay were lower in LATE group (P ≤ 0.05). There was no hospital mortality (30 days), but three patients (8.6%) died during a median follow-up of 36 months. Conclusion: THE is a safe procedure for patients with CSE, and LATE may be an alternative approach in selected patients. Background: Within the last two decades, surgical treatment of colorectal cancer has changed dramatically from large abdominal incisions to minimal access surgery. In the recent years, single port (SP) surgery has spawned from conventional laparoscopic surgery. The purpose of this study was to compare conventional with SP laparoscopic abdominoperineal resection (LAPR) for rectal cancer. Patients and Methods: This was a single-center non-randomised retrospective comparative study of prospectively collected data on 53 patients who underwent abdominoperineal resection for low rectal cancer; 41 with conventional laparoscopy and 12 with SP surgery. Results: Patients' characteristics were in general comparable, but patients in the conventional laparoscopy-group had a significantly higher American Society of Anesthesiologists-score. The operative time was slightly shorter in the conventional laparoscopy-group, but no differences were found in oncological margins of the resected specimen, in length of stay or readmission rate. Conclusions: SP LAPR appeared to be safe and feasible in selected patients. Adequate oncologic resections can be performed with acceptable morbidity and mortality. Larger randomised controlled trials with longer follow-up are needed to determine the beneficial role of this new procedure. Background: Minimally invasive ventral rectopexy is a well-described technique for management of rectal prolapse. Robotic system has proven its advantage for surgeries in the pelvis. 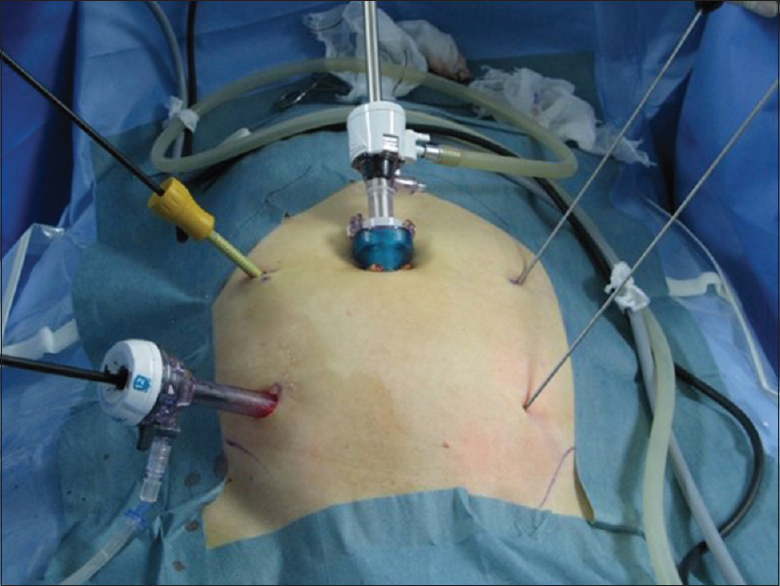 Applying this technique, ventral rectopexy can be done more precisely with minimal recurrence. With growing experience, the operative duration and cost of robotic ventral rectopexy can be reduced with better outcome. Few case studies have been described in literature with no study from Indian subcontinent. We describe a series of eight cases of robotic ventral rectopexy done for rectal prolapse in a tertiary health-care centre of India. Methods: A total of 8 patients were operated for complete rectal prolapse during the period from August 2015 to April 2016. da Vinci Si robotic surgical system was used with prolene or permacol mesh for ventral rectopexy. All patients were prospectively followed for a period minimum of 3 months. Pre- and intra-operative findings were recorded along with post-operative outcome. Results: Out of eight patients, prolene mesh was used in five patients and permacol mesh (porcine collagen) in three patients. Mean operative time (console time) was 177 min and mean total time was 218 min. Mean blood loss was 23.7 ml. Functional outcome was satisfactory in all patients. There was no significant complication in any patient with mean hospital stay of 2.2 days. With average follow-up of 8.8 months, no patient had recurrence. Conclusion: Robotic ventral rectopexy is a safe technique for rectal prolapse with excellent result in terms of functional outcome, recurrence and complications. With experience, the duration and cost can be comparable to laparoscopic technique. Background: One anastomosis (mini) gastric bypass (OAGB) is believed to be more malabsorptive than Roux-en-Y gastric bypass. A number of patients undergoing this procedure suffer from severe protein–calorie malnutrition requiring revisional surgery. The purpose of this study was to find the magnitude of severe protein–calorie malnutrition requiring revisional surgery after OAGB and any potential relationship with biliopancreatic limb (BPL) length. Methods: A questionnaire-based survey was carried out on the surgeons performing OAGB. Data were further corroborated with the published scientific literature. Results: A total of 118 surgeons from thirty countries reported experience with 47,364 OAGB procedures. Overall, 0.37% (138/36,952) of patients needed revisional surgery for malnutrition. The highest percentage of 0.51% (120/23,277) was recorded with formulae using >200 cm of BPL for some patients, and lowest rate of 0% was seen with 150 cm BPL. These data were corroborated by published scientific literature, which has a record of 50 (0.56%) patients needing surgical revision for severe malnutrition after OAGB. Conclusions: A very small number of OAGB patients need surgical correction for severe protein–calorie malnutrition. Highest rates of 0.6% were seen in the hands of surgeons using BPL length of >250 cm for some of their patients, and the lowest rate of 0% was seen with BPL of 150 cm. Future studies are needed to examine the efficacy of a standardised BPL length of 150 cm with OAGB. Background: The popularity of single-incision procedures is on the rise as wound cosmesis is increasingly being seen as an important body image-related outcome. In this study, we assess the potential benefits of single-incision multiport laparoscopic totally extra-peritoneal (S-TEP) without using specialised ports or instruments and compare the same with the conventional laparoscopic TEP (C-TEP) surgery in terms of operative time, post-operative pain, complications, cost and cosmesis. Materials and Methods: This is a prospective case-matched study of the patients undergoing S-TEP versus C-TEP from June 2014 to December 2015. Results: Each group had 36 patients. The two groups were comparable in the clinical characteristics. The mean duration of surgery for a unilateral hernia in C-TEP and S-TEP was 45.13 ± 10.58 min and 72.63 ± 15.23 min, respectively. The mean visual analogue scale (VAS) score for pain was significantly higher in S-TEP group at post-operative day (POD) 0 and 1. However, at POD 7, there was no significant difference between the groups. At 1st and 6-week post-surgery, the cosmetic results were significantly better in S-TEP group as compared to C-TEP, however, at 6 months, the scar was highly acceptable in both treatment groups. Conclusion: S-TEP, using conventional laparoscopic instruments, is safe and feasible even in resource challenged setting. However, there is a need to review the indications and advantages of single-incision laparoscopic surgery, as no difference in cosmetic outcome by VAS score in S-TEP versus conventional laparoscopic arm seen by the end of 1 month. Introduction: Laparoscopic adjustable gastric banding and laparoscopic sleeve gastrectomy are popular bariatric procedures. Certain complications may necessitate revision. Adverse outcomes are reported after revisional bariatric surgery. We compared patients undergoing revisional versus primary laparoscopic Roux-en-Y gastric bypass (LRYGB). Materials and Methods: This was retrospective comparative 1:1 case-matched analysis of revisional LRYGB Group A versus primary LRYGB (pLRYGB/Group B). Matching was based on body mass index (BMI) and comorbidities. BMI decrease at 6 and 12 months post-surgery, comorbidity resolution, operative time, morbidity and length of hospital stay (LOS) were compared. Total decrease in BMI, i.e., change from before initial bariatric procedure to 12 months after revision for Group A was also compared. Results: Median BMI (inter-quartile range) for Group A decreased to 44.74 (7.09) and 41.49 (6.26) at 6 and 12 months, respectively, for Group B corresponding figures were 38.74 (6.9) and 33.79 (6.64) (P = 0.001 and P = 0.0001, respectively). Total decrease in BMI (Group A) was 9.8, whereas BMI decrease at 12 months for Group B was 15.2 (P = 0.23). Hypertension resolved in 63% (Group A), 70% (Group B) (P = 0.6). Diabetes resolution was 80% (Group A), 63% (Group B) (P = 0.8). Operative time for Groups A, B was 151 ± 17, 137 ± 11 min, respectively (P = 0.004). There was no difference in morbidity and LOS. Conclusion: Comorbidity resolution after revisional and pLRYGB are similar. Less weight loss is achieved after revision than after pLRYGB, but total weight loss is comparable. Revisional surgery is safe when performed by experienced surgeons in high-volume centres. 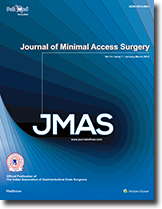 This paper reports a case of Petersen's space hernia after mini gastric bypass. This is an anecdotal post-operative complication in the mini gastric bypass technique, with an estimated rate of 1/5000 cases. Similar cases described in the literature were treated by the surgical hernia reduction and the closure of the mesenteric defect. Our patient had a unique management, performing a conversion to Roux-en-Y gastric bypass with dissection of the biliopancreatic limb at the anastomosis and creation of a variable foot-point anastomosis with excellent mid-term post-operative results. This should provide better long-term results as compared to simple mesenteric closure, avoiding the complications of mini gastric bypass technique. Hydatid disease commonly affects liver and treatment of choice is surgery. Ultrasound examination is helpful to diagnose, classify and plan management of the cyst. Surgical treatment is done using a conventional open technique or minimal access technique. We report our experience of using ultrasound-guided percutaneous nephroscopic approach to treat liver hydatid cyst. Laparoscopic cholecystectomy is the gold standard for managing the treatment of patients with symptomatic gallstone disease. Certain patients with acute cholecystitis will develop gallbladder perforation (GP). Furthermore, massive intraperitoneal haemorrhage following perforation is a rare complication. The high morbidity and mortality rates associated with this condition are due to delays in the diagnosis and treatment since signs and symptoms of perforation do not differ significantly from those of uncomplicated cholecystitis. Severe inflammation and haemodynamic instability necessitate exploratory laparotomy in many patients. To the best of our knowledge, no study had described laparoscopic completion cholecystectomy for massive intraperitoneal haemorrhage caused by an acute GP. Laparoscopy can be an option for the management of these patients, in selected cases and with available expertise. Acute gastric remnant bleeding is an exceptionally rare complication when it occurs long after bariatric surgery. 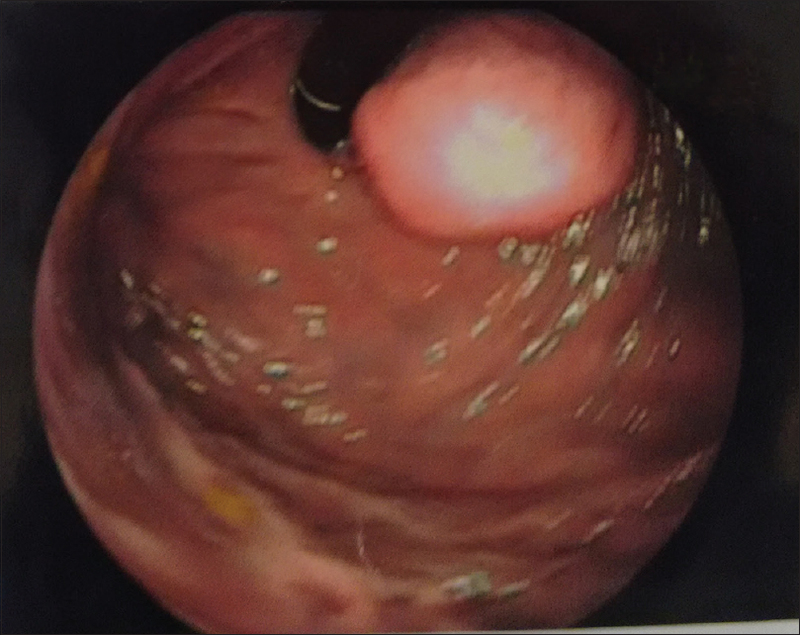 We present the case of a patient with a bleeding ulcer of the excluded stomach (i.e., the remnant), occurring 7 years after Roux-en-Y gastric bypass (RYGB) for morbid obesity. A computed tomography scan managed to locate the active bleeding source in the gastric remnant. During emergency laparotomy, a bleeding ulcer of the fundic region of the excluded stomach was identified. Total resection of the remnant was performed, with good post-operative recovery. To the best of our knowledge, this is the first full report of a significantly delayed haemorrhagic ulcer of the gastric remnant, occurring years after RYGB. 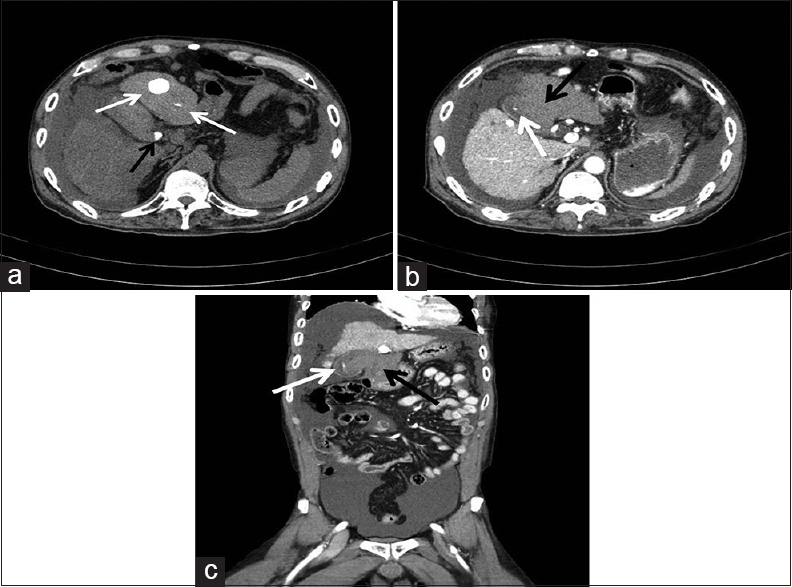 A 76-year-old male underwent endoscopic mucosal resection for a stage T1 tumour of the sigmoid colon. We performed laparoscopic sigmoidectomy through 5 ports using needlescopic instruments. The resected specimen was extracted from the abdominal cavity transanally. 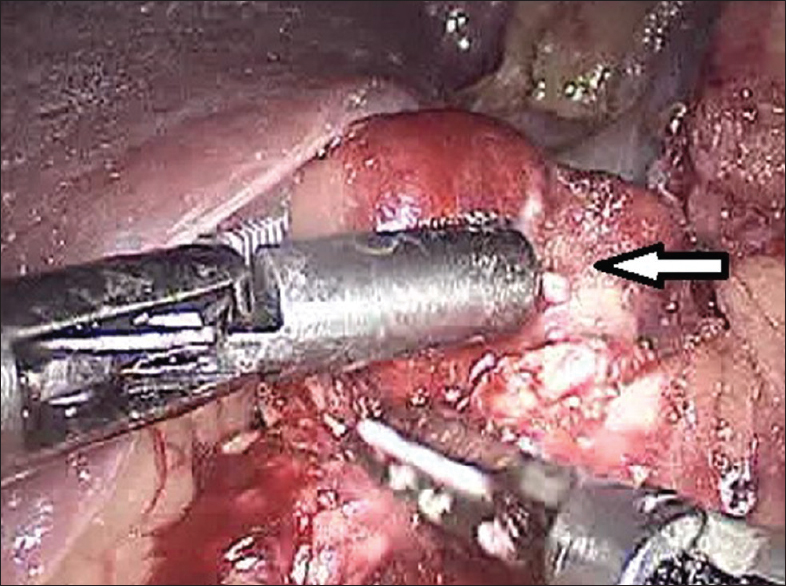 After attaching an anvil to the sigmoidal stump, the rectal stump was reclosed using an endoscopic linear stapler, and then, colorectal anastomosis was conducted using the double stapling technique. Performing transanal specimen extraction using needlescopic forceps improves aesthetic outcomes and reduces post-operative pain and the risk of abdominal incisional hernias. This method is an easy to introduce a form of reduced-port surgery because of its feasibility and conventional port arrangement. Hence, we consider that it is an option for minimally invasive surgery. 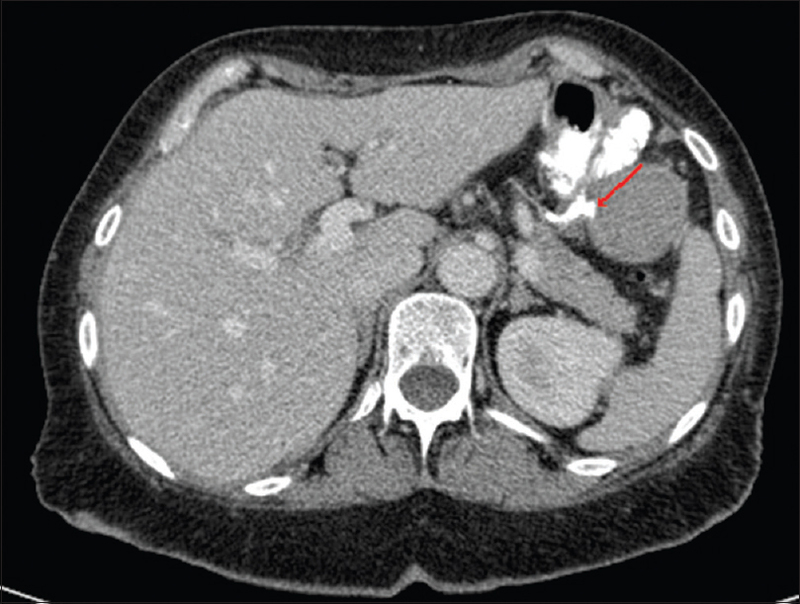 Extrahepatic spread of hepatocellular carcinoma (HCC) is uncommon; and, pelvic metastasis, in particular, is extremely rare. 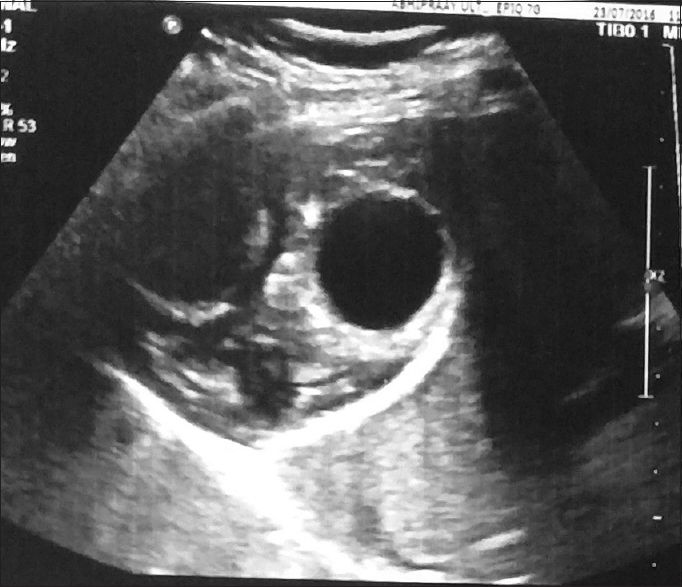 A 71-year-old woman was admitted for evaluation of pelvic solitary solid mass. She had undergone a left lobectomy 28 years previously. 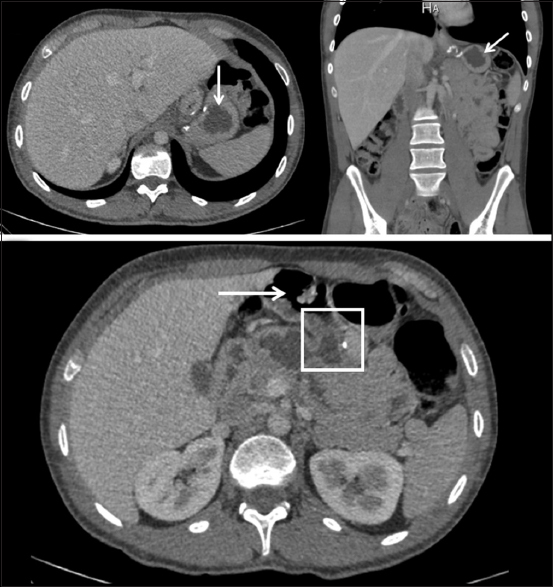 Magnetic resonance imaging of the abdomen and pelvis demonstrated a heterogeneous mass in the right pelvic cavity, whereas no space-occupying lesions or ascites were detected in the liver. CA 125 levels were within normal limits; however, serum alpha-fetoprotein levels were markedly elevated. She underwent laparoscopic pelvic mass excision, total hysterectomy, and bilateral salpingo-oophorectomy. Histopathologic findings and immunochemical staining results indicated metastatic HCC. Herein, we report an unusual case of a patient with solitary recurrence in the pelvic cavity 28 years after initial diagnosis and treatment. While the 'best pancreatic anastomosis technique' debate is going during Whipple procedure, the laparoscopic pancreaticoduodenectomy lately began to appear more and more often in the medical literature. All the popular anastomosis techniques used in open pancreas surgery are being experienced in laparoscopic pancreaticoduodenectomy. However, when they were adapted to laparoscopy, their implementation was not technically easy, and assistance of robotic surgery was sometimes required at the pancreatic anastomosis stage of the procedure. 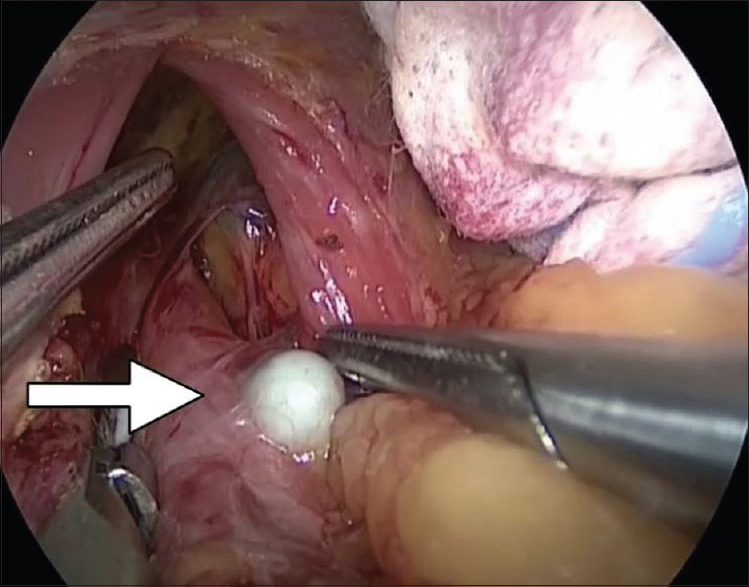 Feasibility and simplicity of a new technique have a vital role in its adaptation to laparoscopic surgery. We frequently use the extra-mucosal single row handsewn anastomosis method in open and laparoscopic surgery of the stomach, small and large bowel and we found it easy and reliable. 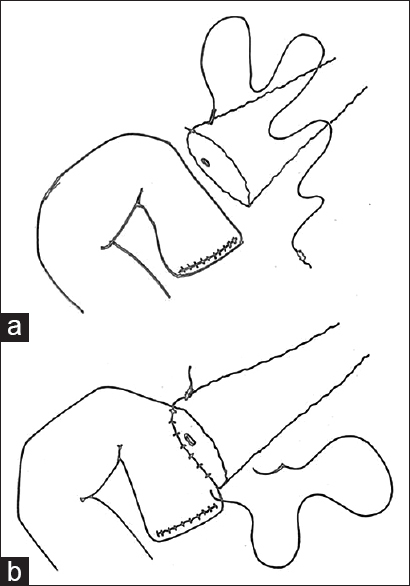 Here, we defined the adaptation of this technique to the laparoscopic pancreas anastomosis. The outcomes were not inferior to the other previously described techniques and it has the advantage of simplicity. One of the most popular procedures amongst obesity surgery is the sleeve gastrectomy. There is international consensus regarding the usage of bougie for sleeve gastrectomy calibration. Nevertheless, there is a dissociation between the number of oesophageal perforations reported for any other oesophageal/gastric operation that requires bougie (e.g., anti-reflux surgery, incidence 1.2%) and bariatric surgery, where this complication seems to be almost a myth. Interestingly enough, the number of bariatric procedures is much higher than any other oesophageal/gastric surgery. This suggests that oesophageal perforations in obesity surgery are underreported. 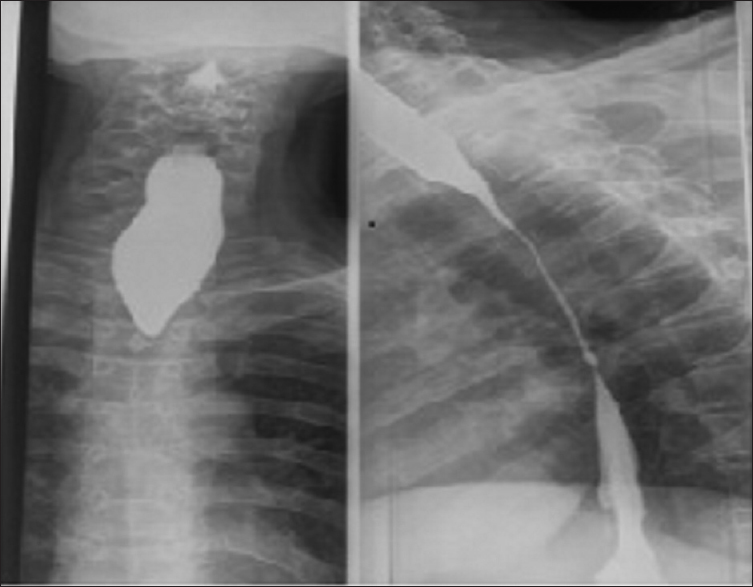 We report a case of injury of the intrathoracic oesophagus with bougie that occurred during a sleeve gastrectomy. In the infrequent case that the perforation is diagnosed during surgery, primary repair during the same intervention is highly recommended. Videothoracoscopy might be an effective option in case of necessity. We were able to complete the sleeve gastrectomy without increasing morbidity. Introduction: The challenges in laparoscopic suturing include need to expertise to suture. Laparoscopic needle holder is a” key” instrument to accomplish this arduous task. Instrument: The objective of this new invention was to develop a laparoscopic needle holder which would be adapted to avoid any wobble (with a shaft diameter same as a 5mm port), ensure accurate and dexterous suturing not just in adult patients but pediatric patients alike (with a short shaft diameter) and finally ensure seamless throw of knots with a narrow tip configuration. Validation: We did an initial evaluation to evaluate the validity of the prototype needle holder and its impact on laparoscopic suturing skills by experienced laparoscopic surgeons and novice laparoscopic Surgeons. Both the groups of surgeons performed two tasks. 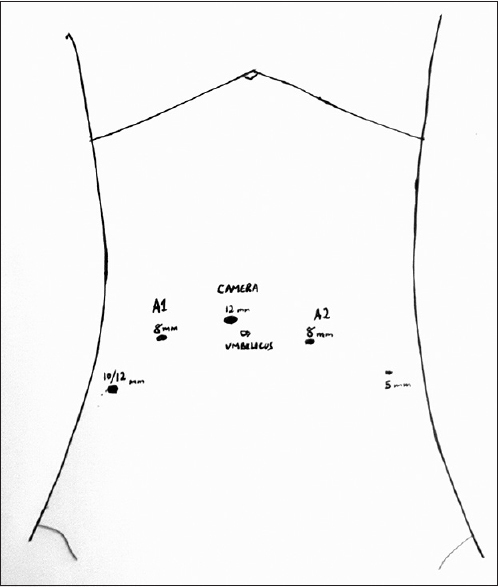 The first task was to grasp the needle and position it in an angle deemed ideal for suturing. The second task was to pass suture through two fixed points and make a single square knot. At the end of the tasks each participant was asked to complete a 5- point Likert's scale questionnaire (8 items; 4 items of handling and 4 items of suturing) rating each needle holder. In expert group, the mean time to complete task 1 was shorter with prototype 3/5 laparoscopic needle holder (11.8 sec Vs 20.8 sec). The mean time to complete task 2 was also shorter with prototype 3/5 laparoscopic needle holder (103.2 sec Vs 153.2 sec). In novice group, mean time to complete both the task was shorter with prototype 3/5 laparoscopic needle holder. Conclusion: The expert laparoscopic surgeons as well as novice laparoscopic surgeons performed laparoscopic suturing faster and with more ease while using the prototype 3/5 laparoscopic needle holder.